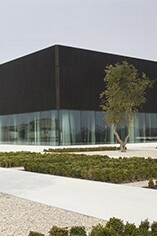 One of Pauillac’s less well-known estates, Ch. 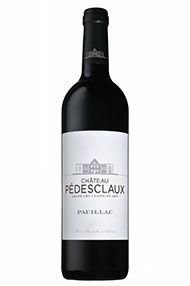 Pédesclaux is well situated in front of Mouton Rothschild and Pontet-Canet. The property’s history dates back to the early 19th century when Urbain Pédesclaux – a renowned trader on the Bordeaux marketplace – acquired some vineyards put up for sale following the Revolution and established the estate in 1810. Symbolising the bourgeoisie’s arrival in the Médoc (previously under aristocratic rule), Urbain Pierre Pédesclaux set about building the estate’s reputation. When the wines of the region were classified in 1855, Ch. Pédesclaux was granted the title of Fifth Growth. The estate was acquired by Françoise and Jacky Lorenzetti in 2009. Over the next few years they purchased new parcels, almost doubling the property’s footprint from 26 to 50 hectares. The vineyards underwent significant work with soil studies and replanting, and in 2014, Ch. 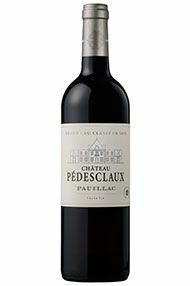 Pédesclaux opened a new chapter, its vineyards fully restructured and an impressive new gravity-fed winery and cellaring facilities. The first thing that is immediately obvious when visiting Ch. Pedesclaux is that things have changed! The difference in the glass is remarkable with a deep blackcurrant nose, which is powerful, rich and harmonious. 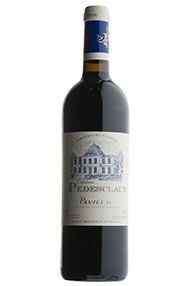 The palate demonstrates that they have been able to harvest at the perfect time, with blackcurrant fruit having the perfect fresh edge to it in the form of very fine tannin and juicy, fresh acidity. There is a touch of spice to round things off that gives a hint as to the complexity that will undoubtedly develop over the coming 20 years. Drink 2020-2035. 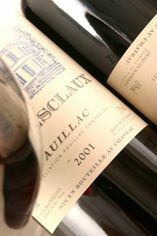 In recent years Pédesclaux has garnered a reputation for making a more interesting, modern style of red Bordeaux. There is a lot of ripe, plump red fruit and it finishes full-bodied, still with the trademark freshness of the vintage, but there is a little more body and joy. Wow! 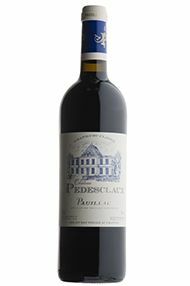 A profound, precise Pauillac at a price to please even the most price conscious (I hope!). Raspberries and strawberries are dominant on nose and palate, with a very natural weight and comely seductive charm that just makes you want to quaff it. This really is a terrific and something new to boot. Located on the gravelly plateau overlooking Pauillac itself, alongside Mouton and Pontet-Canet, this little Fifth Growth will not be ignored for too much longer. Making really impressive and seductive wines, 2011 is no exception and is a generous, rich and alluring drop which should come in at a very attractive price given its quality.